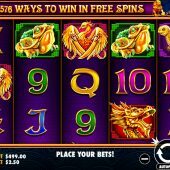 5 Lions slot is an Oriental-themed game from developers Pragmatic Play, who have released similar slots such as 8 Dragons and 3 Kingdoms, to name a few. The game consists of 5 reels of 3 rows and 243 ways to win. An in game feature is the Wild multipliers, which can increase wins by up to 40x per spin. 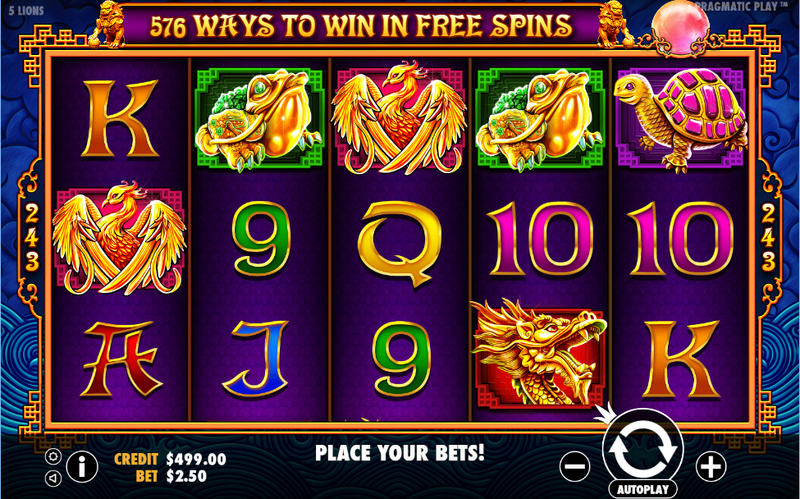 5 Lions has a free spins bonus game, with Wild multiplier winning possibilities available. This one is volatile, so take it on if you are feeling brave, but be prepared to be ravaged by the 5 Lions.